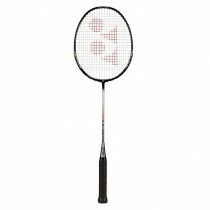 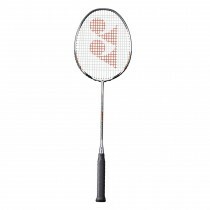 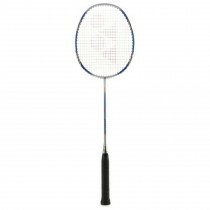 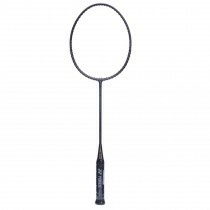 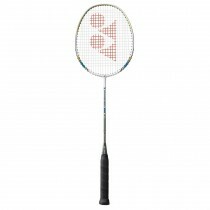 Yonex Arcsaber 10 Badminton Racket is made with Carbon Nanotube technology which helps to controls the flex behavior of racket during the game. 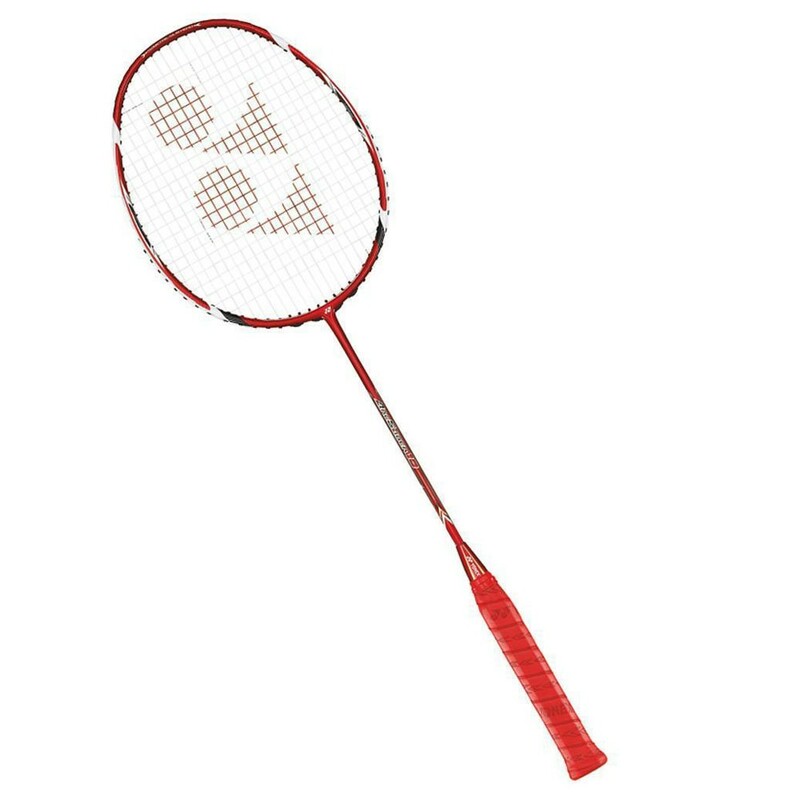 This Nanotube technology shuttle holds on racket in very Controlled way and return with more power. 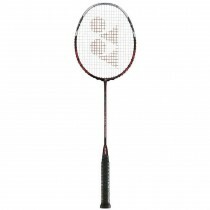 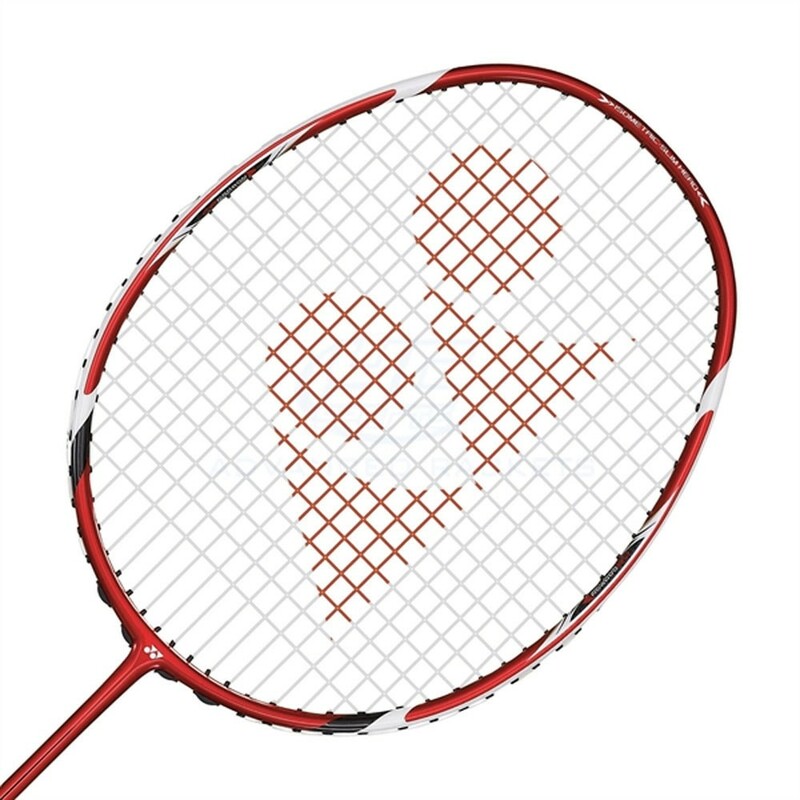 Arc 10 is stiff racket with CS carbon Nanotube material used in frame. 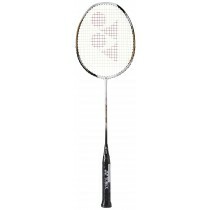 The weight of the Racket is 85-89g & balance is 7 (even balance).its Ultra Poly Ethylene Fiber Shaft provides Accuracy and Control during the play and Super High Model Graphite Provides Quick Repulsion.The racket has New Built in T-joint, New Control Support Cap, Solid Feel Core, New Grooment System, Square Head, Isometric Shape. 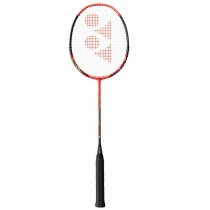 The Built-in T-joint connects the frame and shaft and creates a one-piece frame that resists the effects of torque on impact. 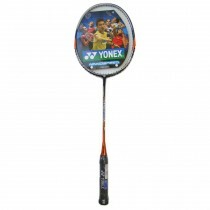 This results in an extremely durable, stable racquet and string bed. 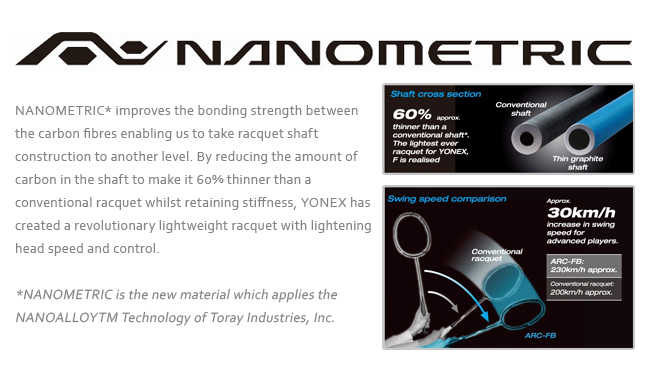 Isometric technology changes the round head shape of traditional racquets into a revolutionary square head shape, which creates more right angles at string intersections within the racquet head. 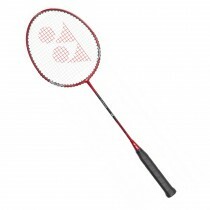 This provides a larger sweet spot, improving the accuracy and control.